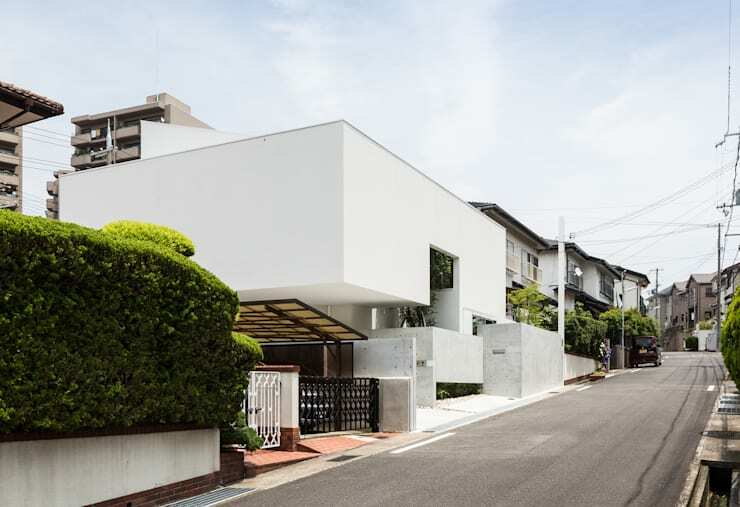 It is certainly risky to design a concrete home without a single front window. The occupants will enjoy an unparalleled sense of privacy, but the facade runs the danger of looking a little uninviting and bare. The wide and open entrance leads the eye from the driveway to the central opening in the facade. This has a great, tall tree that is partially enclosed by the exterior. This, of course, imbues both the internal and external spaces with natural beauty. 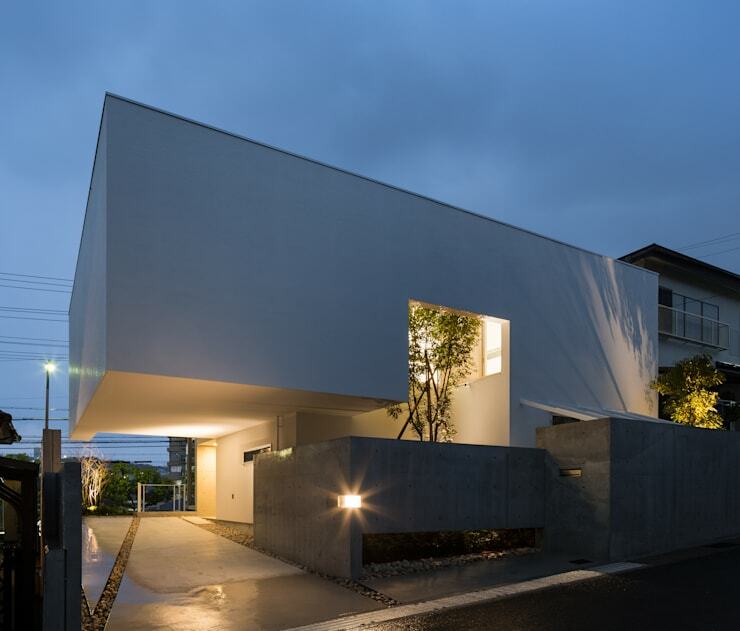 We love how the tree is enclosed on three sides by the structure. This allows the occupants privacy without sacrificing the natural light of external windows. The property backs onto a road at a much lower ground level. Rear exteriors are often under-developed, and the visual weight of tall building can be a little heavy and overwhelming. But here, the rear wall has been broken up into a series of lines. There isn't a single external window, but a minimalist exterior staircase and generous natural foliage provide lots of visual variety. 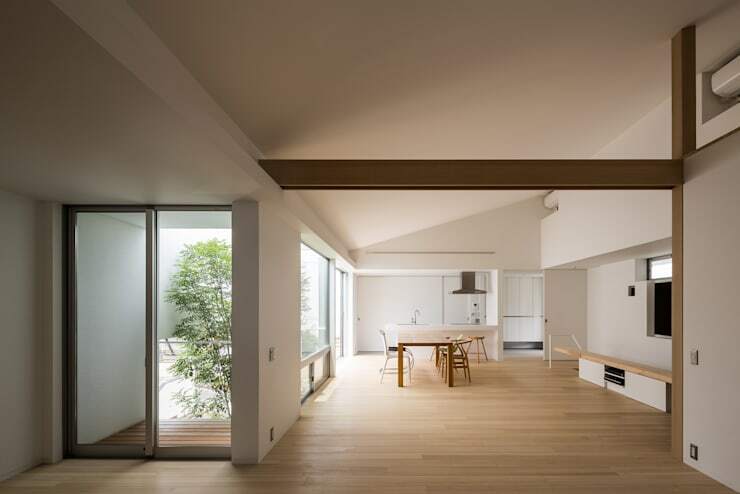 As expected, the white living area is infused with great natural beauty, privacy and light. The light, natural feel has been accentuated with the use of natural materials such as the wooden floor and minimalist furniture. An exposed timber support beam raises the eye upward and imbues the space with a bright, elevated ceiling. Finally, note the great little timber deck on the left that partially surrounds the outside tree. The luxurious bedroom has its own internal courtyard flooded with light. We have our first glimpse of an external window, but it is set high on the wall to retain that all-important sense of privacy. This is a very bright bedroom. Great light is a crucial element when designing a room with raw materials like concrete. 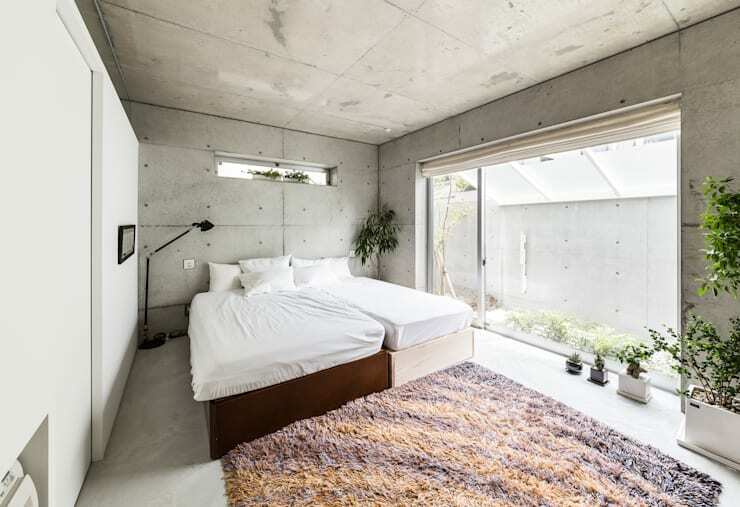 Also, if this lavish concrete bedroom hasn't converted you to the beauty of raw concrete, you might feel differently after checking out the bathroom! 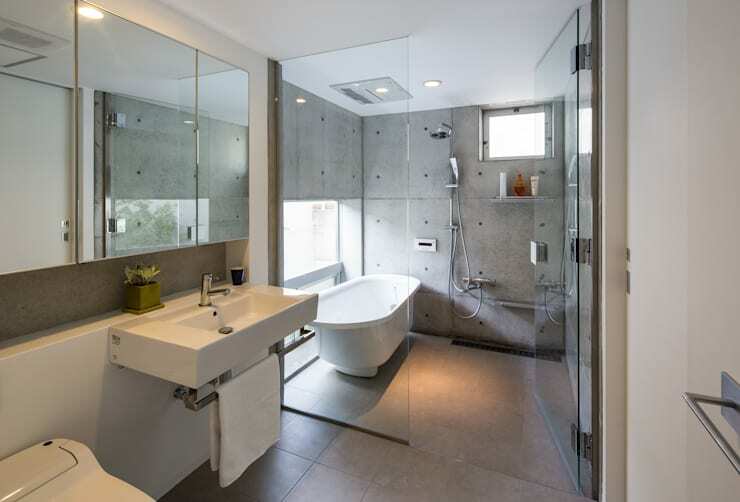 The beautiful modern bathroom has a free-standing bathtub set inside a glass-enclosed shower area. This is an unusual bathroom layout, but one that very effectively separates the wet areas from the rest of the bathroom. A monochrome palette has been used and a simple glass screen allows light to penetrate throughout the space. If you 're into raw concrete, you'll absolutely love An extraordinary geometric abode. 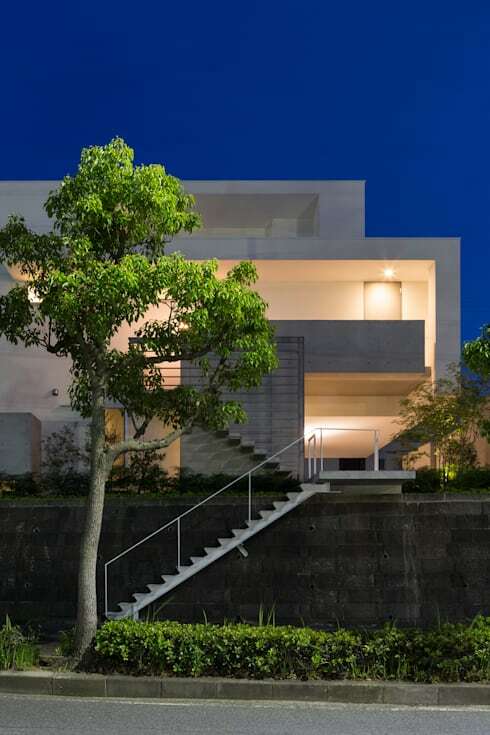 What do you think of the unusual natural feature in this contemporary concrete home? Let us know in the comments field below!